Ethiopia's new cabinet is now a record 50 percent female, including the country's first woman defense minister, after lawmakers on Tuesday unanimously approved the nominations put forward by reformist Prime Minister Abiy Ahmed. Five of the 20 cabinet members are Muslim, an underrepresented group that makes up a third of the country. That includes the new Defense Minister Aisha Mohammed Musa from the predominantly Muslim Afar region. 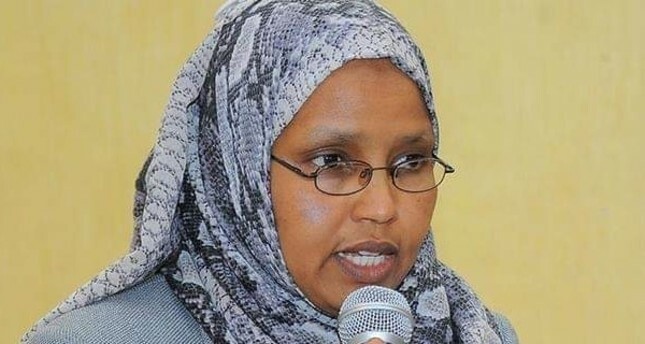 Another Muslim woman, former House speaker Muferiat Kamil, will lead the new Ministry of Peace at a time when Africa's second most populous country faces sometimes violent ethnic tensions as the wider political freedoms are explored. Under Kamil's leadership, the Ministry of Peace will oversee the powerful National Intelligence and Security Service, the Information Network Security Agency, the Federal Police Commission and the Finance Security and Information Center, Abiy's office confirmed Tuesday. Another Muslim member of the cabinet is Finance Minister Ahmed Shide, who comes from the country's underrepresented Somali region. Minister of Health Amir Aman and Minister of Agriculture Omer Husen are also Muslims. Ethiopia has long been considered a patriarchal society and it "suffers from some of lowest gender equality performance indicators in sub-Saharan Africa," U.N. Women has said. "Women and girls in Ethiopia are strongly disadvantaged compared to boys and men in several areas, including literacy, health, livelihoods and basic human rights." Recent efforts have been made in Ethiopia to show women in more prominent posts. Ethiopian Airlines, which calls itself Africa's largest carrier, has publicized all-female flight crews. Separately, Ethiopian Airlines announced Tuesday it would start flying to the Somali capital Mogadishu on Nov. 2 for the first time in four decades. "Our flights will quickly grow to multiple daily flights given the huge volume of traffic between the two sisterly countries and the significant traffic between Somalia and the rest of the world," the airline's CEO, Tewolde Gebremariam, was quoted as saying by Fana.